Author Sebastian Junger, who's been embedded with American troops in battle, told CNN's Erin Burnett the video of American Marines urinating on the corpses of suspected Taliban fighters is more than just a recruiting tool for the country's enemies. "The American military must be held to the highest standard. That wasn't it." On CNN's Erin Burnett OutFront, Erin takes a look at how the internet is protesting the proposed 'SOPA' legislation aimed at preventing online piracy. On CNN's Erin Burnett OutFront, Sen. Jim DeMint explained a line written in his new book, where he writes "Democrats exist to beat Republicans. Period." In an essay, CNN's Erin Burnett looks at the diverse field of candidates seeking the Republican presidential nomination, and concludes the country's come a long way from the days of JFK. Jacqueline Charles, Miami Herald Caribbean correspondent. Picture taken in Archaie, Haiti after the Jan. 12th, 2010 earthquake. Jacqueline Charles is an awarding winning journalist and the Caribbean correspondent for the Miami Herald. Charles has covered Haiti for over 10 years - reporting on its people, natural disasters (2008 hurricane) and political upheaval. 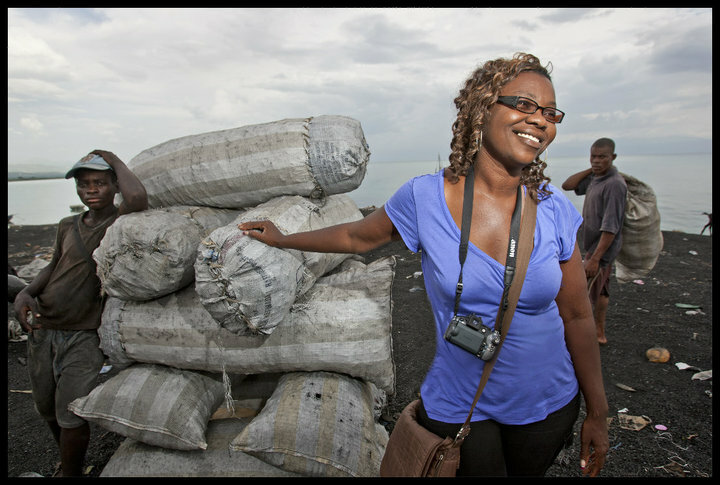 She traveled to Haiti the day after the devastating January 12th earthquake and since then has continued her reporting on Haiti's reconstruction. Erin Burnett OutFront producer Leinz Vales poses a few questions to Charles about her experience reporting on the frontlines of Haiti's most devastating natural disaster.